Determining Adjectives are the words that accompany nouns and define meaning while indicating gender and quantity. The third type of these determining adjectives is called numeral determining adjectives. The following lesson plan will explain how numbers can be used to describe a noun. Due to the similarities between English and Spanish with numbers, this lesson should be a breath of fresh air for students. Students will understand and be able to use numeral determining adjectives. 2. Review demonstrative adjectives and possessive adjectives to ensure retention. 3. Introduce the concept of numbers as determining adjectives. Make two columns on the board labeled “cardinal" and “ordinal" (there are actually two more categories, multiples and partititives, but it may be wise to save that learning for another day because they are more complicated). Give students an example to go in each category on the board and see how many more they can write in the categories. Then have them fill in their charts on the organization sheet. 4. Create examples together on the board of sentences using both cardinal and ordinal numbers. 5. Erase the board and have students put away their organization sheets. 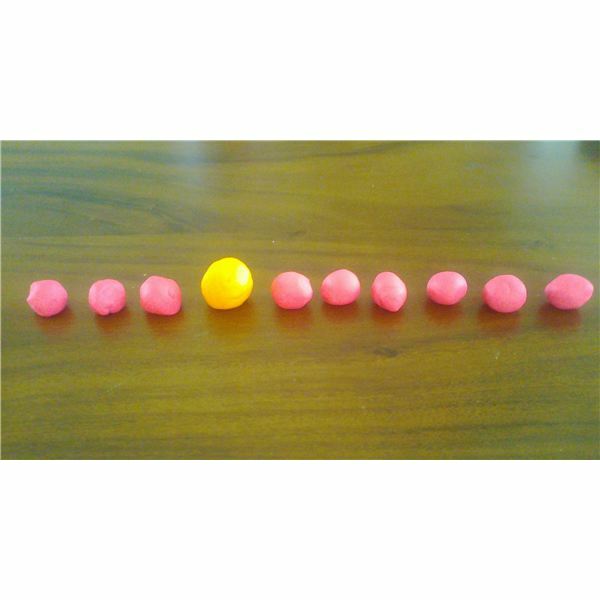 Set out nine objects that are the same color and one object that is a different color. Line up the objects from left to right and split the class into teams. Call up one member from each team and place the different colored object in the fourth position from the left. Quickly ask the students which ordinal number describes position of the different colored object (cuarto). The student who has guessed correctly wins a point for his/her team. Switch students, reposition the object, and whoever says the correct ordinal number first gets a point. For assessment, you will easily see which students understand this concept through the examples on the board and through the game. You may also ask students to print out their scores when they finish the ordinal numbers quiz.